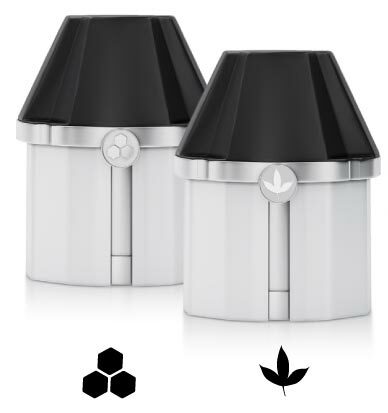 The Prohibited 5th Degree herb Vaporizer is a multi-function device able to seamlessly vaporise dry herb or concentrates simply by switching the magnetic drop-in cartridges. 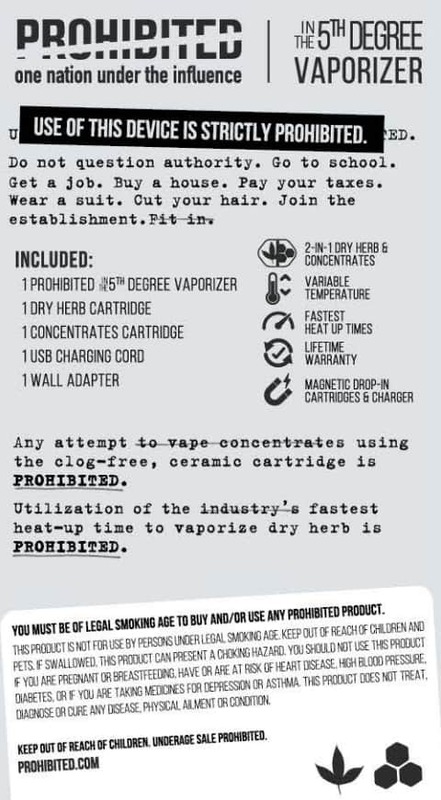 The 5th Degree Kit comes with one compatible cartridge for dry herb and one compatible cartridge for concentrates. 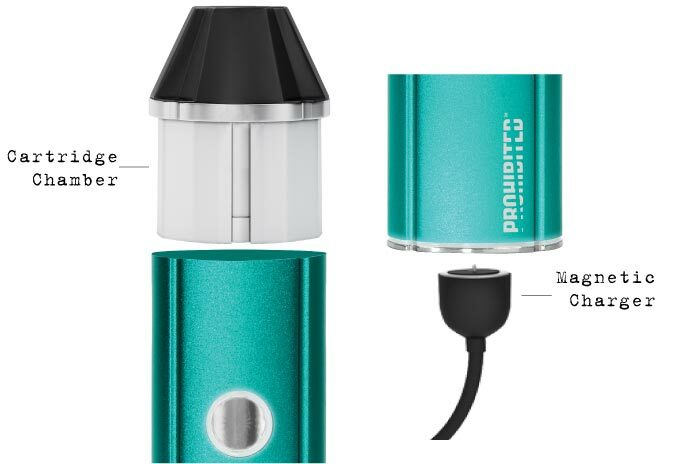 The Dry Herb Cartridge features a chamber featuring the fastest heat up time of any vaporizer and utilises conduction heating to transform your favourite strains into rich clouds of vapour. 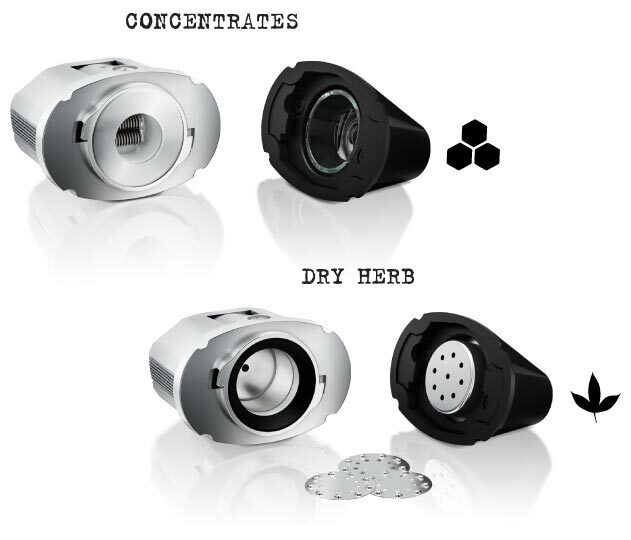 The Concentrates Cartridge heats shatter, wax, oil, and similar concentrates with a Dual-Quartz and Titanium heater for the thickest and smoothest vapour. 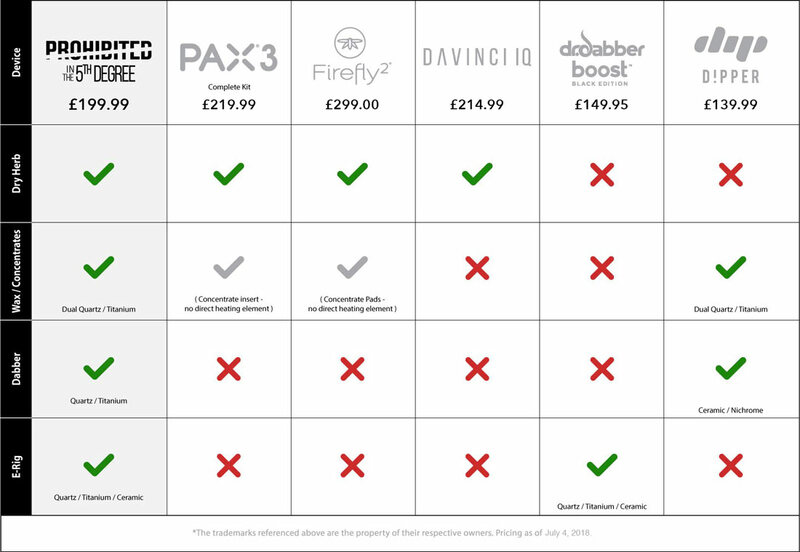 Upgrade your experience with the optional Dabber and E-Rig Concentrates cartridges. 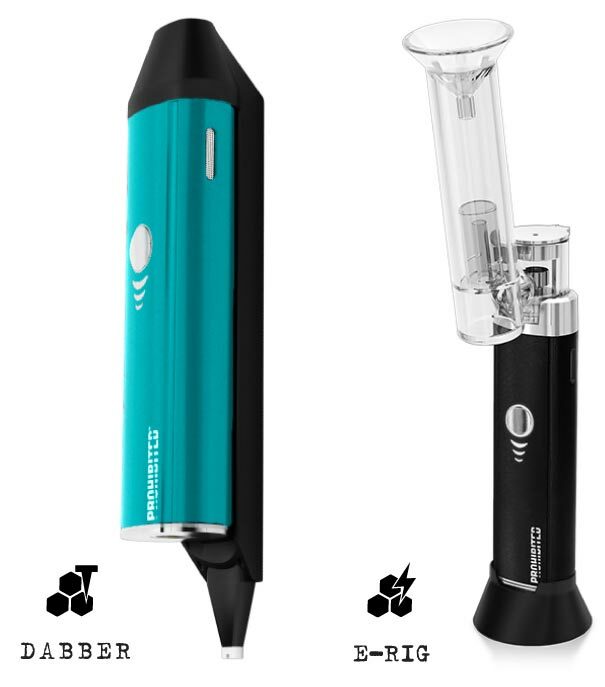 The Dabber cartridge is a fully portable solution that enables efficient medium usage while still producing rich, flavourful vapour. For those seeking the most intense vapour production for concentrates, the E-Rig cartridge is a must-have.